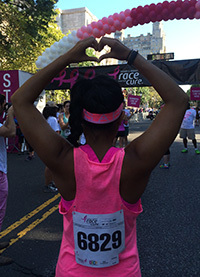 You're about to enter MyKomenNYC ― Welcome to your custom Komen world! Here you can access premium content from top cancer resources. Yoga poses? We got that. Recipes? Yep, it's in here too. Support groups, beauty tips, gifts for a loved one... You'll find them all in MyKomenNYC. We want to give you the best guides from the most knowledgeable people. View, download, and share with friends. And don't forget to check back often! We're adding new resources all the time and unlocking custom content personalized for you. Please login or sign up (it's free!) to continue. Please enter a user name and password for logging in when you return.